We do hope you had a lovely start into 2014! We want to start this year with a short two topics newsletter. First topic is about the brand new TANGO-DJ. AT MEMBERSHIP PROGRAM which has started with the beginning of this year! Second topic is about our upcoming INTERNATIONAL MILONGA WEEKEND in March. 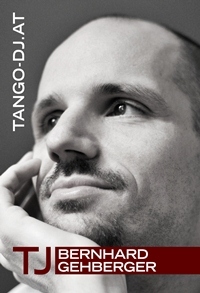 Plenty of people are using our Tango Database with more than 50.000 records which is based on our Tango archive. Obviously they find plenty of intersting tangos which are often hard to impossible to find. 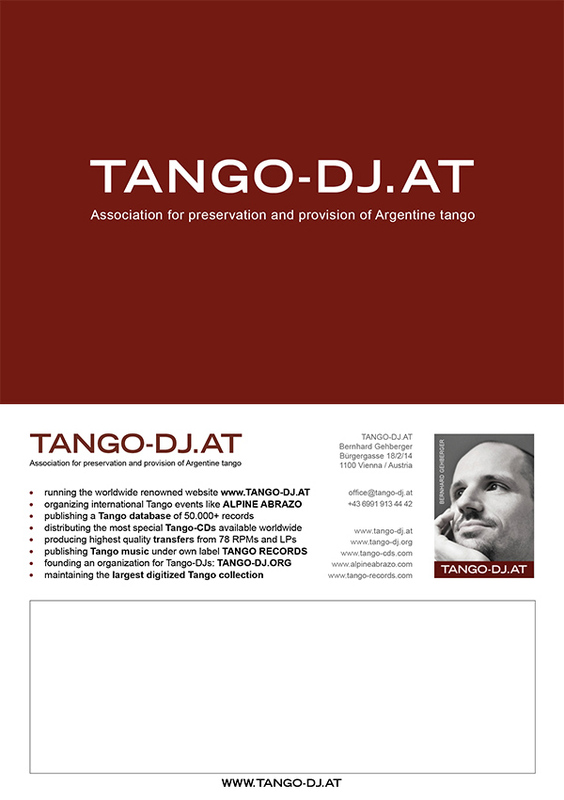 TANGO-DJ.AT has started to produce transfers and/or restore hard to find recordings which are now offered to our members. In order to become a TANGO-DJ.AT member please subscribe to our 1 YEAR TANGO-DJ.AT MEMBERSHIP and fill in this MEMBERSHIP APPLICATION FORM. Details and links can be found on our membership page on our TANGO-DJ.AT/SHOP-page. We are looking forward to welcome you as part of our small and special group of Tango DJs, Tango collectors and Tango aficionados looking for rare recordings in best quality available. We are very happy to be able to announce an even more extended INTERNATIONAL MILONGA WEEKEND in cooperation with TANGOBAR. The Tangobar team is organizing the first Milonga of this extended Milonga weekend on Thursday, 13 March 2014 in their beautiful location Albert Schweitzer Haus. So for all people travelling to Vienna from abroad there is also Thursday evening available to tango and the chance to get to know the largest weekly Milonga in Vienna. From Friday 14 March till Sunday 16 March there will be four more Milongas taking place in the large and spacious Louis Braille Saal organized by TANGO-DJ.AT. So what does a INTERNATIONAL MILONGA WEEKEND mean exactly? So it's like a marathon without the marathon typically restrictions of mandatory registration, gender balancing, full package only, but just lots of relaxed dancing. The location Louis Braille Saal offers a ~330m2 perfect wooden dance floor and we will install the meanwhile known TANGO-DJ.AT sound system for best Tango experience! Details will be published on TANGO-DJ.AT/EVENTS and the Facebook event page. In the meantime you may take a look at this trailer of the past INTERNATIONAL MILONGA.